The Epidemiology concentration at the University of Massachusetts School of Public Health and Health Sciences offers curricula leading to the Master of Public Health (M.P.H.) degree, the Master of Science (M.S.) degree, and the Doctor of Philosophy (Ph.D.) degree. The primary goal of epidemiology is to foster the prevention or early detection of disease by describing the distribution of various diseases in human populations, identifying the determinants of diseases through research, and aiding in the development and evaluation of health programs. Our degree programs provide students with the strong analytic and quantitative skills necessary for etiologic research, disease surveillance, program evaluation, and public health practice. As part of the Department of Biostatistics and Epidemiology, we prepare students to unravel complex health issues by the study of the distribution of the spread of disease, social factors, and other risk factors. Through the design and conduct of research studies, epidemiologists extend basic knowledge of disease processes leading to prevention strategies, and aid in the development and evaluation of such prevention strategies. The discipline makes heavy use of biostatistics, along with the core areas of public health and the related health science disciplines. Epidemiology is an area that the U.S. Public Health Service has declared to be in need of more professionals. Our graduates obtain jobs in city, state and federal health agencies, medical schools, hospitals, consulting firms, universities, private research groups, and industry. At this time, the Department does not offer an undergraduate major in Epidemiology; however, several undergraduate courses are offered. We encourage undergraduate students to take one or more of these courses, as they provide an idea of the range of topics in the field and can be a jumping off point for a career in Epidemiology. An introductory course appropriate at a Junior or Senior level is Epidemiology in Public Health. Interested undergraduate students are also advised to consider the Bachelor of Science (B.S.) in Public Health Sciences degree program. High-achieving undergraduate students may opt for the Accelerated Master's degree program with a concentration in Epidemiology. 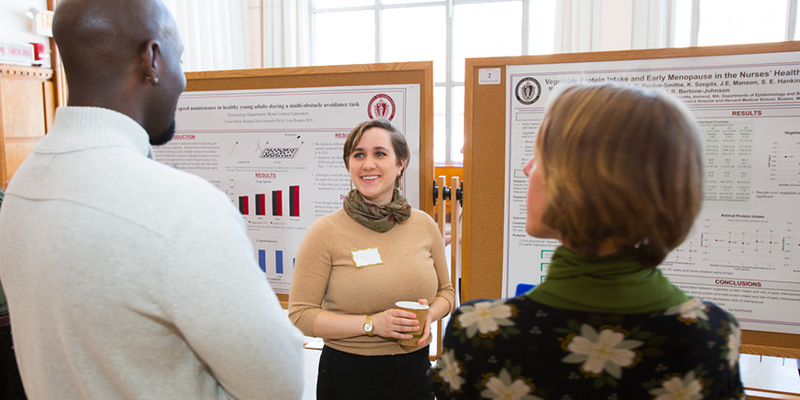 The Epidemiology concentration is a part of the Department of Biostatistics & Epidemiology in the UMass Amherst School of Public Health and Health Sciences (SPHHS). The SPHHS is fully accredited by the Council of Education for Public Health, and is a member of the Association of Schools & Programs of Public Health.